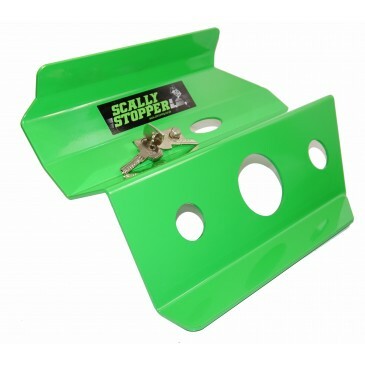 Scally Stopper is the must have security device for your vehicle both as a physical and visual deterrent to prevent the theft of your pride and joy. 4mm steel plate lock to prevent the use of all the foot pedals I the vehicle by covering them and locking in place on the brake pedal. designed so the lock can't be cut and utilising a 6 pin anti-pick anti-bump padlock welded into place. designed with a viewing port to assist in the fitting. Can be fitted in under 30 seconds providing a highly visible deterrent to stop potential thieves from even attempting to take the vehicle.